Mr. Scott is a native of Birmingham, Alabama, who served as a judicial law clerk on the Alabama Supreme Court and represented the State of Alabama in long-running class action employment litigation, prior to joining The Kullman Firm in 1998. Mr. Scott represents public and private employers both nationally and regionally before federal and state agencies, in federal and state courts, and in arbitration hearings on labor and employment-related matters. Mr. Scott’s clientele spans multiple employment sectors and his representation encompasses all facets of labor and employment law, including complex litigation and arbitration, labor relations, and administrative matters before OSHA, the Department of Labor, the NLRB, the EEOC, and state and local administrative agencies. 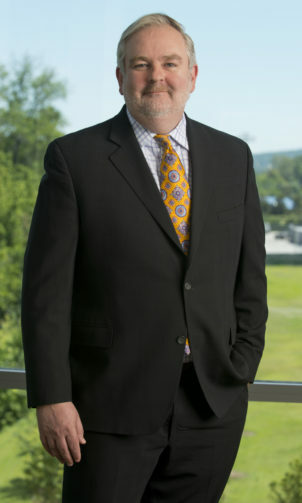 Mr. Scott has represented clients as lead counsel in class actions, FLSA wage and hour collective actions, Sarbanes Oxley actions, and in all areas of traditional employment law, including whistleblower, discrimination, retaliation, and harassment litigation under various state and federal laws, throughout the United States. Mr. Scott has significant experience in defending and prosecuting contract claims and lawsuits involving “intellectual property” issues such as trade secrets, executive contract disputes, non-compete agreements, fiduciary obligations, non-solicitation disputes, and confidentiality and proprietary obligations. Mr. Scott is also well versed in traditional labor relations law, having represented clients nationally in union organizing and decertification, collective bargaining, and unfair labor practice charges. Mr. Scott additionally focuses his representation of clients on proactive measures designed to minimize the risk of litigation. These activities include contract development, contract negotiations, auditing of personnel functions, policy development, emergency planning, insurance coverage issues, training, and education. Mr. Scott is the coauthor of the 2000 Loyola Law Review Fifth Circuit Symposium of Labor and Employment Law, author of an article published in the Alabama Law Review in 1995, and is a frequent lecturer on a broad range of employment-related topics, including FMLA and ADA compliance. Mr. Scott is admitted to practice in the U.S. Court of Appeals for the Fifth, Eighth, and Eleventh Circuits, and multiple U.S. District Courts throughout the country. Mr. Scott has defended claims in most every state.